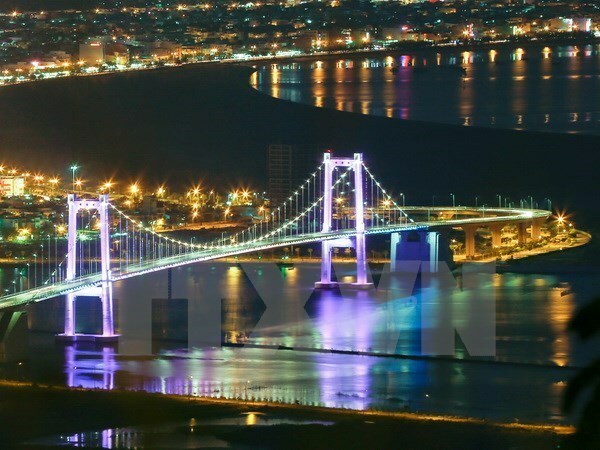 Da Nang (VNA) – The central city of Da Nang aims to make the tourism sector, especially maritime leisure tourism, an economic spearhead at national and international levels. The city aims to welcome 8.85 million visitors by 2020, including 2.45 million foreigners, earning 31.5 trillion VND (1.41 billion USD) from the industry. Apart from increasing the number of hotel rooms to 23,000 by 2020, 5,000 rooms more than that of 2015, Da Nang will encourage homestay services to meet increasing demand during peak travel seasons. The city will develop competitive tourism products while enhancing its connectivity with the neighbouring provinces of Quang Nam and Thua Thien Hue, the south central region and other localities. Da Nang will also build a continent of tourism workers that can satisfy standards set by the Association of Southeast Asian Nations (ASEAN). Tran Chi Cuong, Deputy Director of the municipal Tourism Department, said the locality is making every effort to complete policies supporting the sector and build a travel fund to garner more resources for tourism promotion. It also offers incentives to investors in tourist sites like the Son Tra Peninsula, the Ngu Hanh Son cultural and historical park and the Hai Van Pass, waterway tourism and night entertainment centres, he said. The official noted that the city encourages units and localities to improve tourism quality through ranking businesses and destinations. Local authorities and enterprises will coordinate in organising cultural and art activities for tourists, Cuong added. Other jobs focus on infrastructure development and State management to create a healthy, safe and friendly tourism climate. While maintaining traditional markets like Southeast Asia, Western Europe and Northern America, the city will pay more heed to Northeast Asia and expand its market to the Middle East, India, Russia and Eastern Europe. So far, 83 tourism projects worth more than 7.3 billion USD have been implemented in Da Nang, of which 20 are foreign invested with total capital of 1.28 billion USD.